Get your guitars out! It’s time for the perfect event in the “Home of Country Music!”, and you want everyone to know. Printed in a beautiful muted blue with brightly colored lettering, the Nashville Flyer template features a background of guitars and space for six custom uploads so you can show off your performers! Yee! Haw! 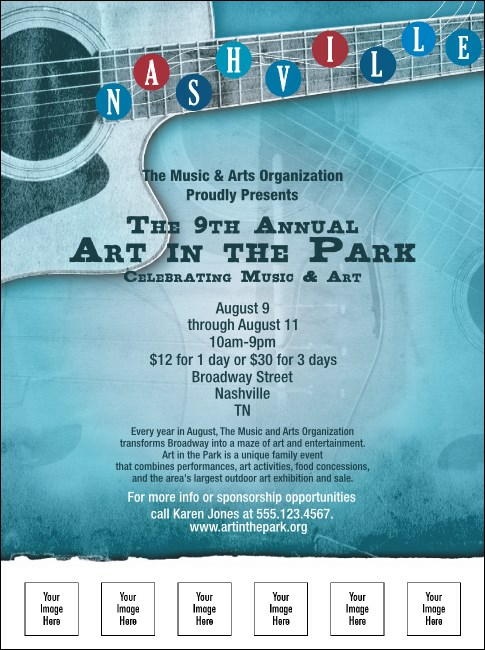 Come on down to TicketPrinting.com and find great designs for your next Nashville event!